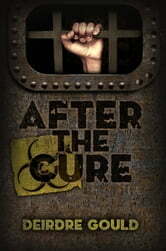 Six years ago, the tiny surviving community of Immune humans found a cure, and the Infected began to wake up and realize what they&apos;d done. And what had been done to them. Rather than following the plague from its beginning, we come in just as the cure has been found. A study in how the cured cope with knowing what they did as the infected is a fascinating twist on a tired theme. Loved this book! So well written and delivered. Enjoyed every minute, every detail. Interesting concept too. I started reading it a little while ago, and I just could not get into it. I tried again and after so many spelling and grammatical errors I had to delete it. Who proof read this book?? seriously?? My grammar is not always the best so I can easily look past some errors but this book contained a ridiculous amount. Very much a Stephen King plot but poor edited. There are many technical contradictions plus spelling and grammatical issues. The author tries to include too much romance into a basic horror story. Some prior editing without follow up leads to gaps and inconsistencies. Excellent storyline, completely different to the usual Zombie Read.